Most people in Dallas-Fort Worth, TX and surrounding areas are confused and a little shocked when they attempt to get their car keys duplicated at the hardware store and are told it cannot be done there. Laser cut keys are produced on specialty machines that most hardware stores don’t carry. In addition to the cut, laser cut keys generally have to be programmed to work with the vehicle for which they are made. Dallas FW Locksmith has the equipment necessary for making laser cut keys, plus we can also program them to work with your car. Dallas FW Locksmith can originate, duplicate, and program all of your laser cut car keys. Today’s car keys are commonly laser cut, making them difficult to duplicate easily. If someone wants to have laser cut keys duplicated, they must be cut on a very expensive, computer-operated key milling machine. The milling machine cuts linear grooves out of the metal and shapes the exterior edges of the key. The thicker head on these car keys also has a chip installed that houses programmed codes for locking and unlocking your doors and trunk, and arming your security system. This chip can only be programmed when in immediate proximity of your vehicle. Normally, if you lose your car keys, you are advised to order duplicates from your local dealership specializing in the make of car you are driving. This way, you guarantee that the keys will work and be programmed properly for your vehicle. The problem, however, is many dealerships require you to wait to receive your keys. There are some dealerships which actually cut the keys while you wait. These dealerships also program the keys. If you’re on the road when you suddenly have a need for new keys, a well-equipped locksmith is a far better option than locating that rare dealership that can make your keys the same day. Even if you do find a dealership that can help you, you’ll probably have to wait for several minutes to an hour or more. On the other hand, a call to Dallas FW Locksmith will provide you with a laser cut key in no time and at half the price than the dealership charges! Dallas FW Locksmith can offer a 30 min response time for all calls, including car key replacement. We are a licensed, bonded, and insured complete locksmith service. We take pride in offering unlocking services, lock installations, lock replacements, key cutting, and lock repair services for residential and commercial buildings as well as vehicle owners. 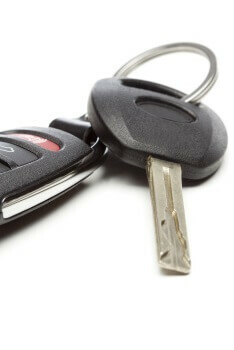 Our automotive locksmiths are mobile, making it easier for them to complete all calls to stranded motorists. Our mobile locksmiths travel in fully equipped vans, so they can resolve your lock issues efficiently, promptly, and effectively. We are expert technicians with 5+ years of experience so we are well qualified to help motorists driving both foreign and domestic cars. We are a fast and friendly, 24x7 locksmith service, so we can respond to drivers at any time of the day or night. Additionally, we offer upfront pricing, so our customers can get the services that they feel comfortable ordering at a price they can afford. Residents and visitors to Dallas and Fort Worth, TX and surrounding areas can get every type of locksmith service they need from our expert technicians. Our complete locksmith service is fast and friendly, making it possible for our customers to quickly get car doors, house doors, office doors, drawers, files, and safes unlocked, as well as getting new locks and keys made. We can make any type of key needed, including laser cut keys which are commonly requested by car owners. Anyone in the Dallas-Fort Worth, TX vicinity can rest assured that if they are locked out of their vehicles or premises, 30 minutes after we receive their call, expert help will arrive. With our technicians working to deliver expert, 24x7 locksmith service, it is our goal to provide the best service at all times. Our upfront pricing ensures that our customers get no surprises. Call us anytime, 24/7 to receive fast and friendly service, working locks, and keys that fit those locks. Laser Cut Keys http://dallasfwlocksmith.com/laser-cut-keys/ 3.3/5 based upon 9 reviews.